Flat roofs are notorious for leaking and often need replacing. They are normally covered in a layer of felt, which can become brittle over time due to prolonged exposure to the weather. If left unmaintained, cracks will eventually occur, allowing water in and making the roof itself liable to leak. Sometimes these roofs can leak for a long period of time without any trace inside the property. There are a number of roofing systems available that can be installed to fix this problem. We have complete confidence in all these systems and guarantee they will provide exceptional performance and will be extremely durable. A Fibreglass GRP roof covering is perhaps one of the most cost-effective and efficient methods of repairing a flat roof. This is where the roof is covered in a fibreglass outer layer. Fibreglass is an is an extremely strong product which if applied correctly can last an excess of 50 years. One of the main benefits of fibreglass roofing is that it is seamless and joint free, meaning that there limited access points the weather to get in. As a result of this, Fibreglass roofing is relatively maintenance free. All fibreglass is moulded on site and can be installed without heat application. Fibreglass comes in a variety of colours and can be moulded to fit all shapes and sizes of roof. Another proven method of repairing any roof is the application of the Kemper roofing system. This involves the installation of a Kemperol reinforced resin waterproofing membrane. This roofing method can be found all around the world, from the Gherkin building in London to the Empire State building in New York. The unparalleled performance of this resin-based liquid waterproofing system is down to resin formulation that is technically superior to anything else on the market. 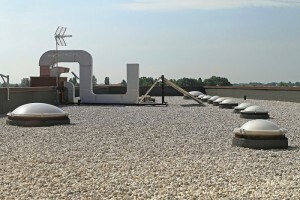 One other flat roof repair system we advocate is the application of a liquid rubber membrane. This product has a successful track record in the North America where it has been used for over 20 years. This system is relatively easy to install and is ideal for commercial properties as it can be applied extremely quickly. Deciding upon the most appropriate system for your roof depends on the size and nature of your building. At ProRoofing we have the knowledge and expertise to help you choose the best flat roof repair system and install it efficiently and professionally. 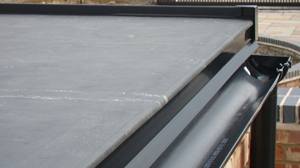 ProRoofing are approved Installers of a variety of Flat Roof waterproofing systems, intended to give guaranteed long term cost effective solutions. The systems we employ eliminate the issues linked with traditional flat roof construction materials that fail due to weathering, failing joints and also lack of flexibility. We cater for all aspects of residential and commercial roofing. Asphalt is poured onto a prepared surface, therefore covers the roof better and offers better protection. “We knew that the replacement of our flat roof was going to be a problem from the start due to poor workmanship done by a previous roofing company. pro Roofing carried out a survey and made their recommendations with a quote for the work. The flat roof work was carried out to high standard and finished on time as promised. Wish we had used them before.”..